Maybe it’s because people have started collecting lots of gear. Maybe it’s a shift in how people play live. Maybe it’s just that we’re getting more than enough mileage out of our laptop as the machine for mixing and tracking and recording and mastering and managing our tour and our social network. Whatever the reason, boy, are we seeing a lot of focus on dedicated hardware – especially for live performance. The Pyramid, from oddly-named Squarp (Squarepusher + arpeggio? 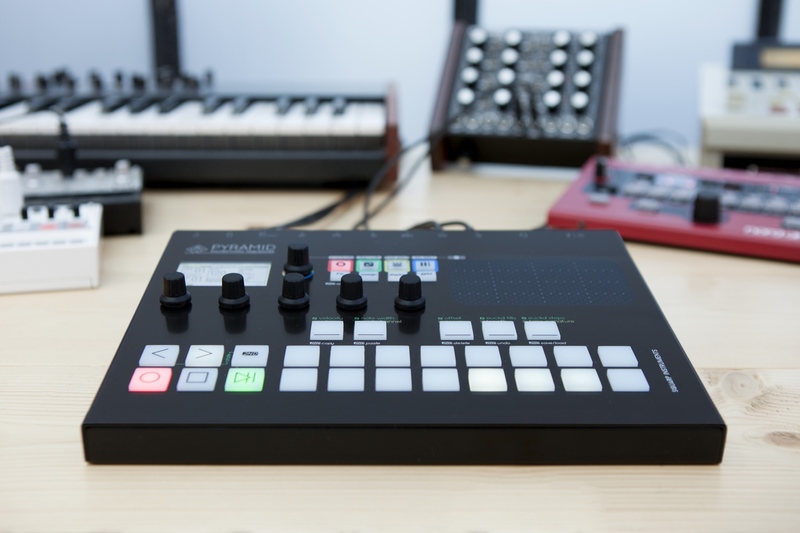 ), looks like what would happen if Elektron decided to make its own standalone step sequencer without the drum machine. Or at least what would happen if they gave us every wish we’d have for such a standalone box. Squarp even kindly reminds you that this covers analog gear, MIDI instruments, homebrewed circuits, and iOS things, but you knew that already. Step sequencing. Includes notes, chords, and CC. Live performance. 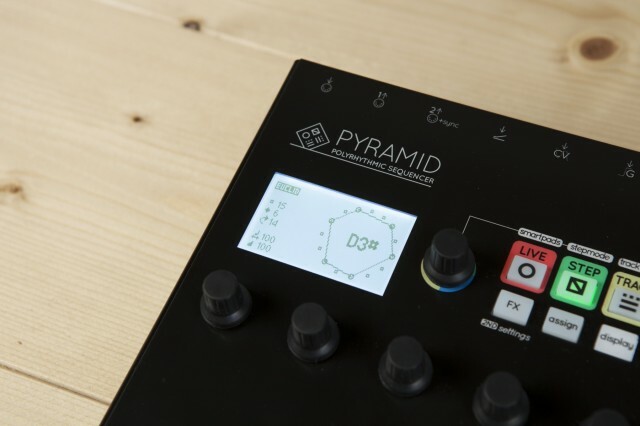 As there’s a built-in keypad and what they call “smartpads,” that might also include playing directly on the Pyramid as a sequencing instrument. 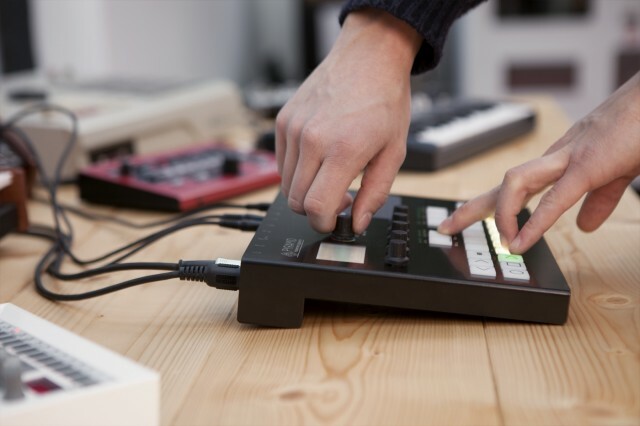 Or play in from an external sequencer. Songs. (Confusingly called “Seq mode.”) Chain sequences to form song structures. Polyrhythms, multiple time signatures. In addition to going beyond just 4/4 and 3/4 time signatures, you can set different tracks to different time signatures for more complex rhythms. Euclidean grooves. It’s amazing how popular this nerdy idea has gotten – symmetrical grooves (as identified by mathematician/computer scientist Godfried Toussaint) are built into each track – with the requisite picture of a circle to make it look cooler. Very cool, though not quite enough to justify the gear – yet. Those can be stacked on every track (up to four each) to transform the sequence. It also appears you can route inputs to those tracks, turning the Pyramid into a MIDI effects box. And they can be controlled from the performance controls. You might, for instance, set this to Track mode and then change length/resolution/time signature, or mute tracks, in order to perform. All of this will cost you: preorders are now €699. So, this is a spendier option than an iPad with Modstep (as seen this week), or, while it’s much simpler, the compact-and-inexpensive BeatStep Pro. And it doesn’t make sounds – here’s where it’s clear this isn’t an Elektron. They claim they’ve chosen to instead focus on making it the best-possible sequencer, and I applaud that. What it means is that all this control is dedicated to sequencing, and none of it has to compete with sound controls. In fact, it’s really the opposite of a box like the Octatrack in that regard: this seems to be about getting quick access to live performance controls, not (cough) menu diving, which has been the complaint for a lot of us about high-end standalone hardware that tries to do this. Of course, that means this really lives or dies on workflow. Reading through their overview, it sounds like they might have really nailed it – but you’d want to test that. A 700€ preorder would be a big gamble. It sure looks promising, though. And just after NAMM, the biggest appetite-inducing hardware announcement so far in 2015, the one that actually breaks from the mold of everything else, might just be this. 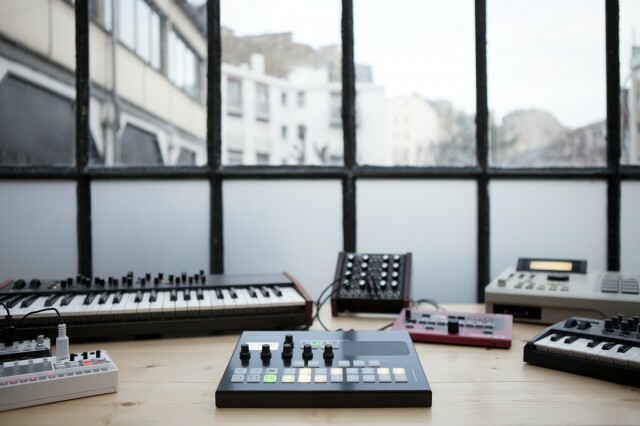 Squarp Instruments are based in Paris. I may have to go pay them a visit.